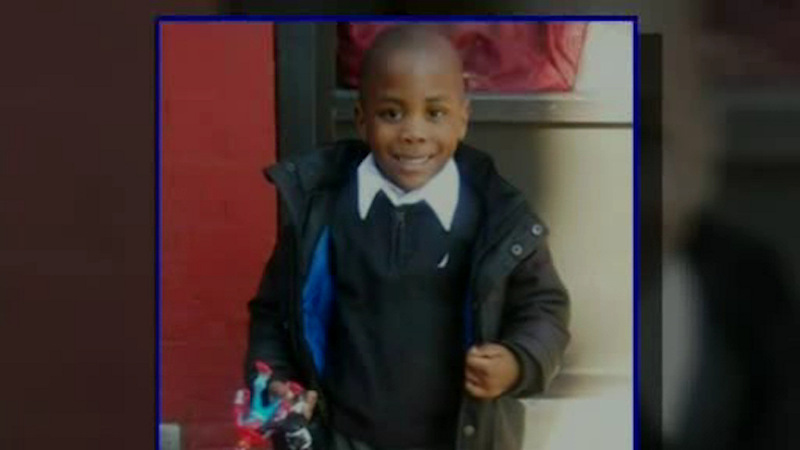 BROOKLYN -- New York City's medical examiner says the death of a 6-year-old Harlem boy has been ruled a homicide. Zymere Perkins died Sept. 26 after what prosecutors say was months of abuse by his mother and her boyfriend in their Harlem apartment. Both were arrested on charges of endangering the welfare of a child. Those charges could now be upgraded. A spokeswoman for the medical examiner said Thursday the child had evidence of "acute and chronic abuse and neglect." Nine officials and employees of the city's Administration of Children's Services have been suspended or placed on modified assignment in connection with the case. Mayor Bill de Blasio has called Perkins' death "an unacceptable tragedy." He said the city would institute reforms including improved training for caseworkers.